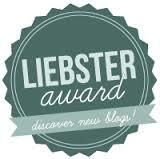 I was very excited when the lovely Sandy nominated me for a Liebster Award. It’s a nice way to share the support and get to know fellow bloggers who have less than 200 followers. It made my day when Sandy got in touch so I am sharing the love! 2. You must answer the 10 questions given by the person who nominated you. 1.What do you love about yourself? Big question to start with! I love that I’m very loyal to my group of friends and family and I’ve known a lot of the people I’m close to for a very long time. Is that cheesy? Don’t care, going with it. 2. Who’s your fashion/style icon? Jessica Alba has a beautiful relaxed style that never looks like she’s tried too hard. I read tonnes of blogs when I was studying (mainly so I could avoid studying as much as possible (I also had a very clean kitchen). Originally I just enjoyed getting reviews or ideas from other people. I love photography and I love writing, so blogging is a fairly perfect hobby for me. 4. What’s your zodiac sign? 5. How often do you wash your hair? Every two to three days. I try to get away with not washing it for as long as I can. It’s a daily battle. 6. Powder, liquid or cream foundation? I’ve recently converted back to liquid after discovering my love of Bourjois Healthy Mix. I do still have an ongoing relationship with mineral foundation too. I’m a big fan of Bare Minerals. 7. What song (or band) do you listen to when you want to relax? Gabrielle Aplin’s voice is amazing but anything by Ludovico Einaudi if I really need to relax. I do a lot of walking where I live, so generally flats, but heels if don’t have to move that far! 9. Do you drink at least 8 cups of water per day? I wish I could say yes, but I’m pretty rubbish at this. I do everything I’m meant to and carry water everywhere. I tend to go through phases of whether I actually drink it or just look at it all day. 10. How many tubes of lipstick do you own? Balms and gloss don’t count. Really not that many – I’m much more into balms (including Revlon’s Balm Stains which are my all time favourites) and glosses. Last count it was about 12 actual lipsticks. Now, for my nominees. I’ve based this on bloglovin/GFC. I think I’ve done this right, but if I’ve got confused and you have more than 200 followers and I’ve nominated you, then my bad, but I like your blog! 3. You can take three beauty products with you to a desert island. What do you take? 4. What’s the last film you saw? 6. If you could only eat one kind of food (italian, mexican, chinese…) for the rest of your life, what would it be and why?7. 7. Who is your favourite blogger/vlogger? 8. What’s the best advice that you’ve ever received? 9. What’s your favourite book and why? I’d love to read everyone’s answers if you choose to accept!